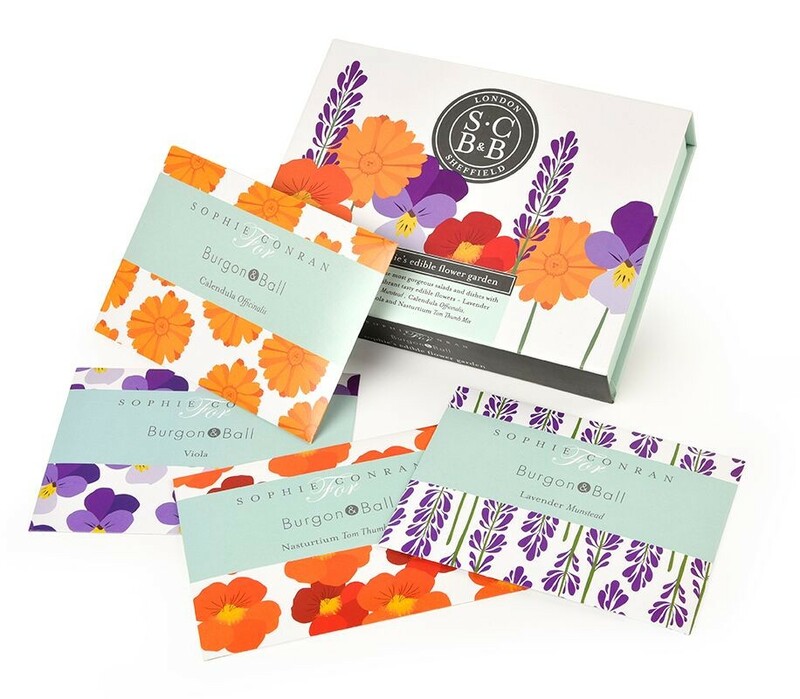 Three unique seed collections, hand picked by Sophie Conran. Each collection contains four packets of seed, full growing instructions plus tips and recipe ideas from Sophie. All are attractively packaged in a beautiful gift box. "Create the most gorgeous salads and dishes with these vibrant, tasty, edible flowers - Lavender Munstead, Calendula Officinalis, Viola and Nasturtium Tom Thumb Mix."